Tasty, my secret favorite among the classic malts, often underestimated or overlooked, for 30 € he was a bargain, 35-40 are still fair. Nose: red fruit compote, white and milk chocolate, sultana raisins, honey, caramel, mint, slight aniseed and a whiff of cinnamon. Taste: a light to medium body with dried fruits, clear chocolate, a sligthy bitter wood note and some green herbal spicyness. Finish: not that long but pleasant with again the dried fruits, cocoa, coffeebitter and a little nutmeg. A very decent mildly sherried bottling. Actually quite pleasant, but lacking somewhat in depth and complexity. Still available for around the €30 mark in NL, which is good value for money. 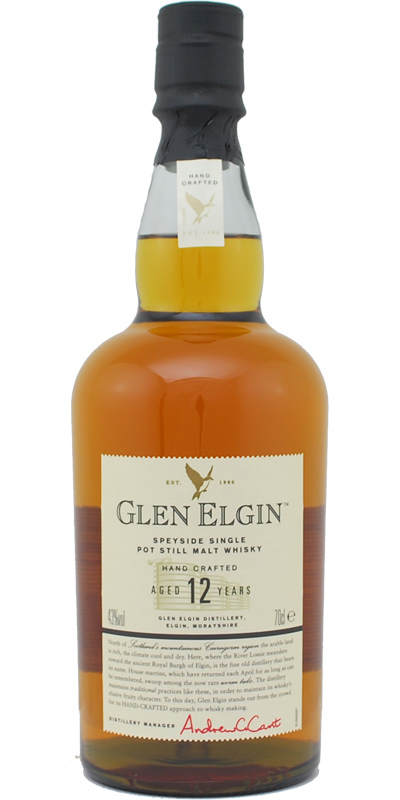 Overall a pleasant whisky suitable for breakfast, similar to a Glenkichie 12. The taste is very easy going and mild, dried apricots build up into orange peel. Small bits of cocoa like pleasure at the end of the throat. Lingering cornflakes and honey at the back of the tongue. Medium ending, not too long. He does not hurt. He is harmonious, the finish should be a little longer. Sweet almond flavor, orange peel, honey and vanilla - the Speyside in the glass. Stings something in the nose. Mild and fruity, while slightly woody and with pleasant coffee notes. Again almond flavor, on the tongue but also a dollop of walnut ice cream. Short, dry, pleasant portion of wood, oranges and almonds. Fine, fruity honey scent - ripe pears, citrus, gingerbread. All this is complemented by a light ginger spice. The taste is very civilized and pleasantly rounded with light spice. Malt, honey, immature apricots, salt also manifests. Dozvuk continues to taste, only slightly dries with primary cereal tones and coffee in the background.